There are a number of potential factors that could cause or lead to a collision with a semi-truck, and listing each and every possibility would be a never-ending venture. 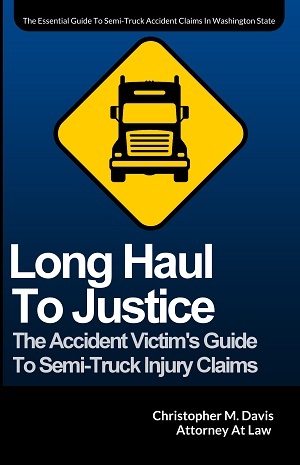 Below are some of the factors or causes that appear most frequently in semi-truck accident cases, particularly when it comes to those cases that result in serious injuries and fatalities. Drivers and company officials share the responsibility of ensuring that a semi-truck is maintained according to state and federal regulations. For drivers, this might include alerting the company of mechanical or structural issues that need attention, parts that need fixing, and reporting even the most minor of accidents that could result in damage to the truck. For the trucking company, this means taking the time to develop and follow a regular system of inspecting their fleet and making timely repairs when they are necessary instead of putting them off until disaster strikes. All drivers should (and are legally required to) avoid distractions while operating a motor vehicle, and that responsibility is compounded even more so with semi-truck drivers. The Federal Motor Carrier Safety Administration’s (FMCSA) Commercial Driver’s License (CDL) manual goes into great detail about how drivers need to avoid distractions of all types, including eating, smoking, cell phone use, and the like. Despite the strict regulations on distracted driving, semi-truck drivers involved in serious and fatal accidents are often found to have been preoccupied with something that could be classified as a distraction at the time of the crash. To many people, impairment is equated with being under the influence of alcohol and/or drugs. While legal and illegal drugs are one of the more common factors involved in semi-truck collisions, there are other types of impairment that can contributed to a crash. For instance, the failure to wear prescription eyeglasses or hearing aids is one example of a non-alcohol induced impairment. Another is a driver’s medical condition, like a neurological disorder. Another common example of impairment is driver fatigue. The FMCSA also imposes strict regulations on “Hours of Service” limits for truck drivers, which refers to the number of consecutive hours that truck drivers are allowed to work before they must stop and take a break to rest. Regardless of whether the impairment is the result of fatigue, drug or alcohol use, or some other factor, employers of truck drivers who have actual knowledge of a driver’s drug or alcohol use are prohibited from allowing a driver to perform or continue to perform safety-sensitive functions. Violations of these rules subject the driver and employer to civil and/or criminal penalties, which may include a fine of up to $10,000. 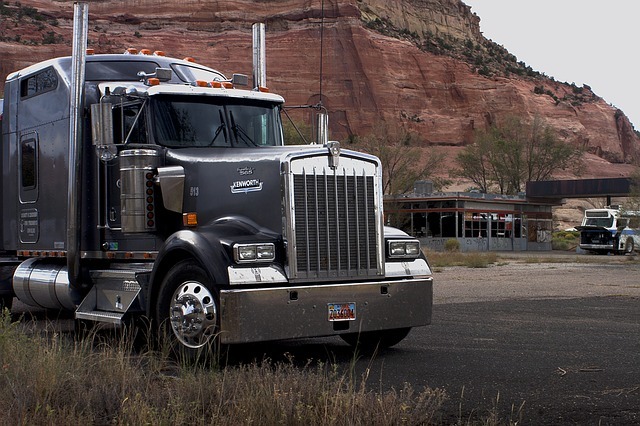 Semi-truck drivers often travel all over the United States as part of their job. Sometimes the truck driver will need to travel into other countries like Canada and Mexico. They are frequently incentivized by trucking companies to complete their transport jobs as quickly as possible. This can create situations where truck drivers are more likely to take unsafe chances when driving, or not acting more prudently so as not to jeopardize the public. When truck drivers are financially motivated to complete a job quicker, it can lead to more dangerous driving behavior, like speeding, driving while drowsy, and more. Truckers who are in a hurry may also fail to pay attention to the height of bridges and overpasses, variable speed limit zones, weight limits, and many others. One example of a case that Davis Law Group handled involves a collision in which a truck failed to take simple precautions. In May 2013, a truck driver was operating a semi-truck that was carrying an oversized load. The driver was being assisted by a pilot car driver. The truck driver was driving on Interstate 5 in Mount Vernon, Washington – a rural area approximately 45 minutes north of Seattle. The truck was hauling an oversized piece of metal housing for drilling equipment to the southern portion of the state. The driver neglected to consider how his oversized load would impact crossing the Skagit River Bridge, which was constructed with overhead metal trusses that limited the overhead clearance for vehicles passing underneath. Although the truck driver and his pilot car operator knew the measurements of the oversized load, they did not take this measurement into account when passing under the bridge’s overhead clearance, which was lower in certain areas than the height of the oversized load. As a result, the truck driver’s oversized load struck the overhead metal trusses connected to the bridge which in turn caused the catastrophic failure of the entire bridge. The bridge immediately collapsed into the Skagit River, sending two other passenger vehicles crashing into the water below. Truck drivers may also be habituated to driving at certain speeds for the sake of getting to their destination quickly, which can cause them to neglect important factors like weather conditions and traffic congestion. Because semi-trucks are larger and heavier than passenger vehicles, they require a greater stopping distance and should therefore travel more slowly in adverse conditions to avoid causing a collision. For example, a semi-truck traveling at the posted speed limit in an area with adverse weather conditions and heavy traffic may be considered to be speeding too fast for conditions under existing law, which puts the safety of those drivers near the truck in jeopardy. All of these factors can easily contribute to a serious and even fatal collision.